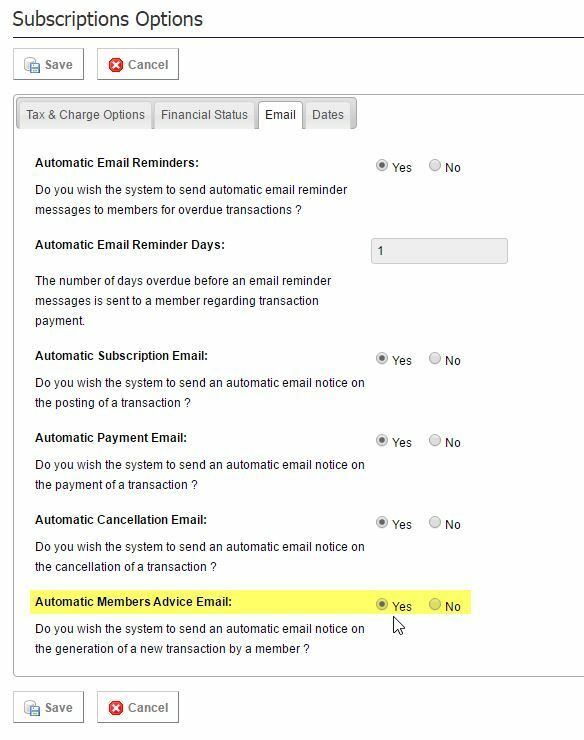 The Automatic Members Advice Email will send the main contact email address of your organisation an email each time a member creates a transaction on the Members Portal. 3. Select the Email tab, and scroll to the bottom. 4. Set Automatic Members Advice Email to Yes and you will begin receiving these emails to the email address listed in Administration > Details. Note: You can turn these emails off at any time by going back into Options and clicking No.